Cheap Tortola hotels are getting harder and harder to find. Great deals can be found, if you know where to look. Although, you'll have to sacrifice some amenities in order to get a great deal. Here's a map of all Tortola Hotels. These accommodations are great if you're on a budget and just need a place to lay your head for the night, but little else is offered. Many of them are located next to marinas, and they are catering to the sailing crowd. I've assigned any place under $150/night as a cheap Tortola hotel. 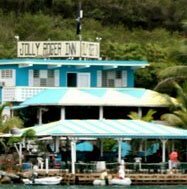 The Jolly Roger Inn fits the bill if you want to stay on Tortola for a discount price. The Inn is located at Sopher's Hole overlooking the Western tip of the island. It's nothing fancy but it is cheap. The rooms are well kept but there are no TVs or telephones. One word of caution though, reservations have been lost here before, so check with Louis (owner) just in case. You also may have to share a bathroom, but summer rates get as low as $55 a night. Those of you looking to stay closer to the action of Cane Garden Bay, should try the Columbus Sunset Apartments. You'll be close to everything if you stay here, a beautiful beach, great restaurants and bars, and even some good hiking. The Columbus Sunset Apartments feature kitchens and small living rooms. This is a great place to stay for your money, maybe the best on the island. The Tamarind Club is a another low cost option, but just so you know it does get mixed reviews. These unfavorable reviews mostly come from people who are expecting luxury for pennies on the dollar. For what it cost though I think it's a steal, and I would recommend that anyone stay here if you're on a budget or not. The club does have some great hillside views that overlook Josiah's Bay. It's a good place to stay if you're looking for some great surf. The Beef Island Guest House is a nice bed and breakfast with clean rooms and adequate service. It's a great place to stay for those who are chartering a boat or need a close place to stay next to the airport. The Guest House is located on Trellis Bay, right next to Da Loose Mongoose (one of the islands better casual beach bars). 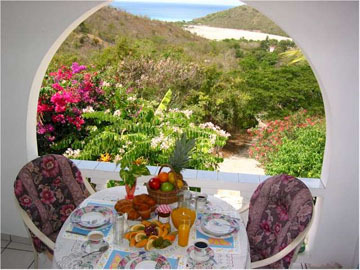 The A & L Inn is on the cheap Tortola hotels list, but I really wouldn't care to stay there. The cleanliness of the rooms is questioned by many guests. Other than being in Road Town and having air conditioning the A & L needs a lot of upgrading. At the Serendipity House you can choose between using all five bedrooms of the house or just one. Which is nice for larger groups. One other feature of the Serendipity House is that they have quite extensive kitchens, so if you'd like to cook for yourself this is the place for you. 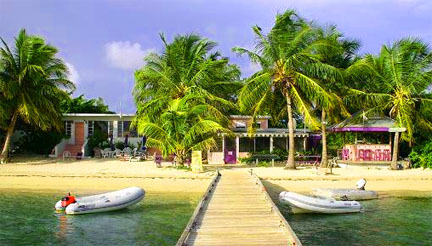 On Cane Garden Bay you'll find the Elm Beach Suites. The rooms have cable, kitchens, and air conditioning, but can get quite noisy due to all the surrounding activity. The suites are pretty divisive amongst travelers, some think it's wonderful others were hoping for more. I'll end on a high note at the Josiah's Bay Inn. This hotel is a real diamond in the rough as far as cheap hotels go. It's a great place to get away from it all and lime your days away. Rooms come with full kitchens and balconies. I would recommend it to anyone. If you're not satisfied with the selection here take a look at the mid-priced accommodations, or maybe the mid-priced hotels are more your style.